Deep Space Station 46 started its life as DSS44 at the Honeysuckle Creek Tracking Station. Most famous for its role in the Apollo XI Moon landing. Originally constructed in 1965 at the Honeysuckle Creek Tracking Station for the Apollo missions (and known by the designation HSK), this antenna has had an amazing history. The first human spaceflight mission it supported was Apollo 7 in October 1968. On 21 July 1969 (Australian time) this antenna received and relayed to the world the first television images of Neil Armstrong's historic first steps on the Moon. 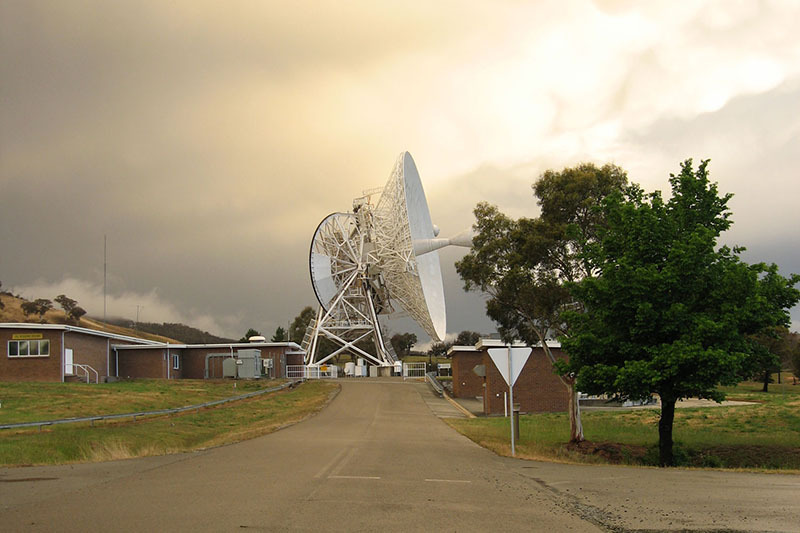 The Honeysuckle Creek station was converted for use in NASA's Deep Space Network after the end of the Apollo and Skylab programs, with the antenna given the new designation DSS-44. 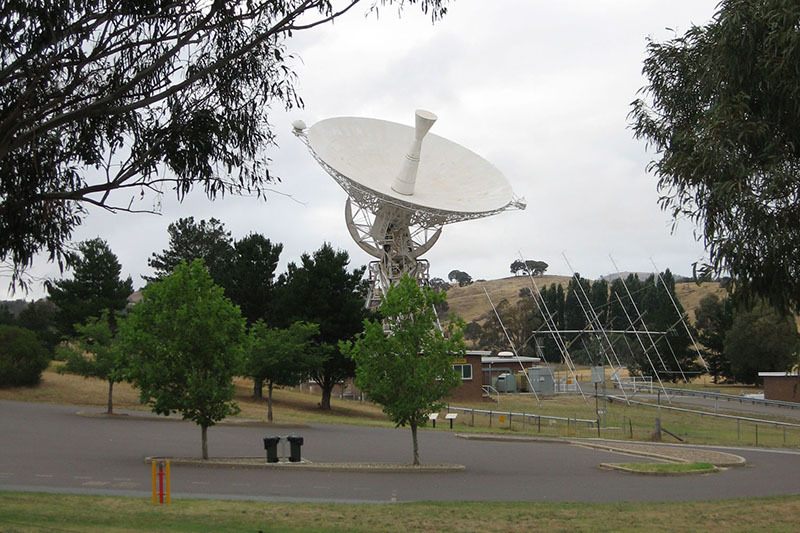 The antenna supported many missions, including those to Venus, Mars, Jupiter, Saturn and the Sun, until the closure of the Honeysuckle Creek Tracking Station in December 1981. 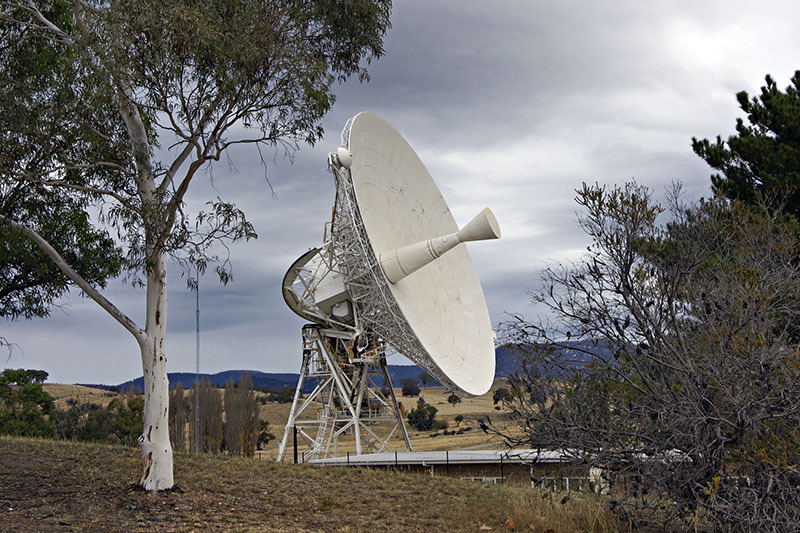 In 1983 the antenna was moved to its current location at Tidbinbilla, re-designated DSS-46 and modified to expand its capabilities for early launch acquisition (tracking a spacecraft after it has launched from Earth). The X-Y configuration and small dish size allowed it to move rapidly, making it ideal for tracking near-Earth spacecraft. The antenna continued to support NASA and international missions studying the Sun, Earth, Moon and the planets in our solar system until its retirement from deep space service in December 2009. Find more photos of Deep Space Station 46 in our Gallery.